The morning of November 22, 1963, Officer JD Tippit, 39, was having coffee at the Dudley M. Hughes funeral home on Jefferson Ave.
Tippit and his fellow police officers would gather there often since they served as escorts for funeral processions. 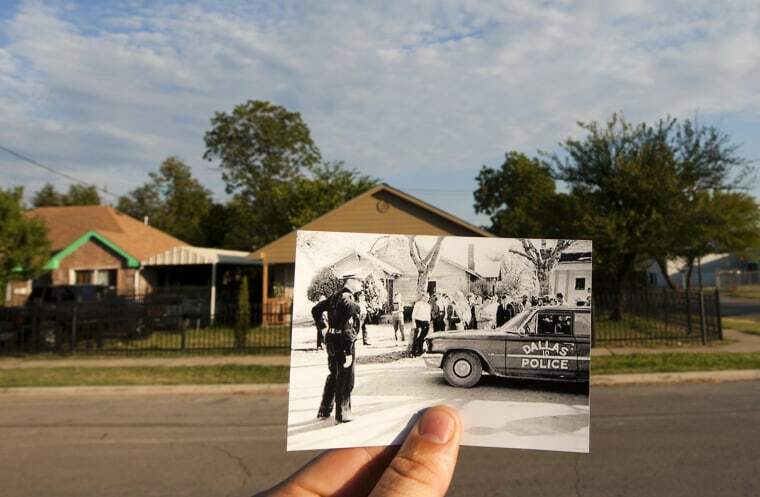 Ronald Hughes Jr., the grandson of the Oak Cliff funeral parlor’s original owner, remembers being a six-year-old sitting in the dining room eating warm cereal from a ceramic bowl and seeing Tippit and the other familiar policemen talking and laughing together. Later, around noon, his granddad and uncle picked Hughes Jr. up from pre-school and took him to the El Fenix restaurant on Colorado for lunch. “Where’s Tommi?” they asked, referring to the owner’s wife, Tommi Martinez, who was usually at the register. By the time Hughes Jr. got back to the funeral home, there were police cars and ambulances in the front driveway and many officers and men in suits were crowding around the home his family shared with the funeral business. 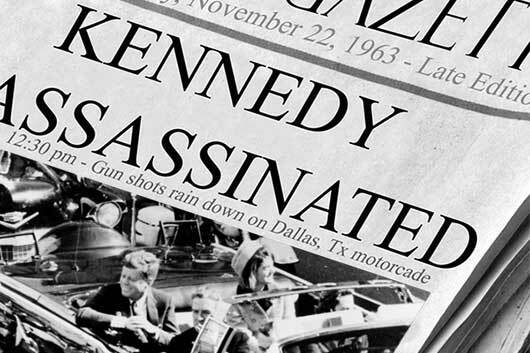 Anyone who was alive the day President Kennedy was assassinated remembers those types of random details, but for the Hughes family, their connection to that significant day goes a step further. It was their funeral home that received a call shortly after Officer Tippit was shot three times by Lee Harvey Oswald a block away and their ambulance driver, Clayton Butler, who drove the dying policeman to Methodist Hospital. Oak Cliff emergencies were handled differently in 1963, starting with the way they were reported. There was no 9-1-1 service yet – that wouldn’t begin until 1968, over five years later – so a caller had to either know the police or fire department’s direct number by heart or had to dial the operator and ask her to make the connection. In the case of Officer Tippit’s shooting, an eyewitness – Hughes Jr.’s barber, Domingo Benavides – used the police car’s radio to make the call. After dispatching officers to the scene, the police switchboard operator picked up the direct line to the Hughes funeral home, whose job it was to provide ambulance services to that area of Oak Cliff. There were no private ambulance companies or Emergency Medical Technicians (EMTs) in the early 60’s, and Emergency Medical Service wouldn’t be officially implemented until 1971, eight years later. Up until 1973, the year the city of Dallas began answering emergency calls themselves, ambulances were provided by area funeral homes who had a contract to deliver those services. In 1963, the city of Dallas had three main funeral homes that provided ambulance services. “The Hughes’ funeral home had eight emergency cars, which at the time were high top Suburbans. Before that, we just had station wagons. Ambulances not only took the injured to the hospital, they also transported patients to and from nursing homes and even gave newborn babies and their mother’s rides home. The price was considerably different back then, too. Those old ambulances were sparsely equipped, and “the city only required them to carry a first aid kit, basically a tackle box with some gauzes and bandages, and maybe an oxygen bottle. “The money did add up,” he continues, “but the real value to the funeral home was the advertisement that the ambulances provided.” Having all of those oddly shaped vehicles with ‘Dudley M. Hughes’ across each side in fluorescent paint driving around town and in front of news cameras brought a great deal of name recognition to the family’s business. 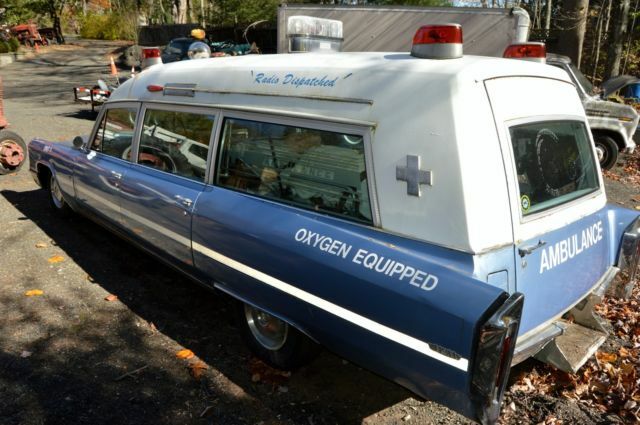 In the early 70’s, the ambulance industry shifted. Veterans began returning from the Viet Nam War with newly developed trauma emergency treatment techniques, and cities took over the ambulance services and began using teams trained to provide emergency medical services. Some funeral homes are still in the transport business, says Hughes Jr., but the cost of maintaining a fleet of vehicles and a stall of drivers available 24/7 keeps that number down. Ronald Hughes Jr. is honored that his family played a small part in history.